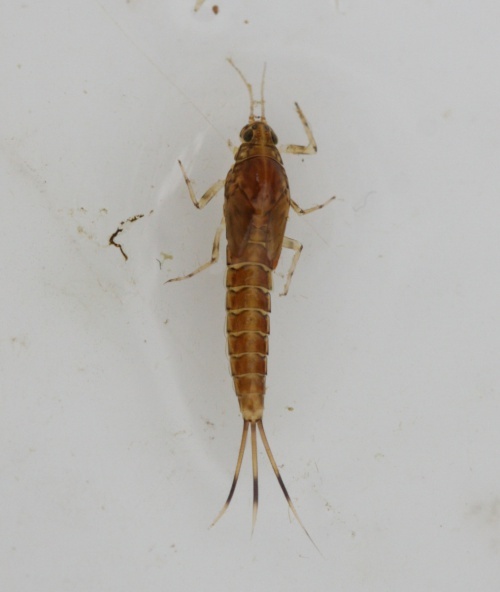 A brown bodied mayfly with bluish slate grey wings. 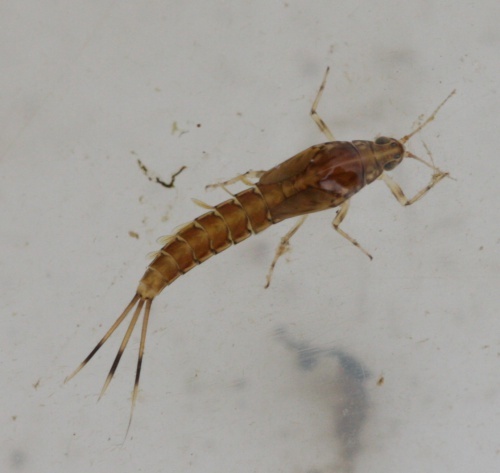 Nymphs are found in running waters throughout the British Isles with the exception of Ireland, they typically crawl amongst in-stream vegetation in riffle areas of rivers and streams or swim in short, darting bursts amongst the substrate. Larvae feed by scraping algae from submerged stones and other structures, or by gathering or collecting fine particulate organic detritus from the sediment.ÿThe males of this species can be found swarming throughout the day and often swarming continues until dusk. A widespread, but localised species in Britain.